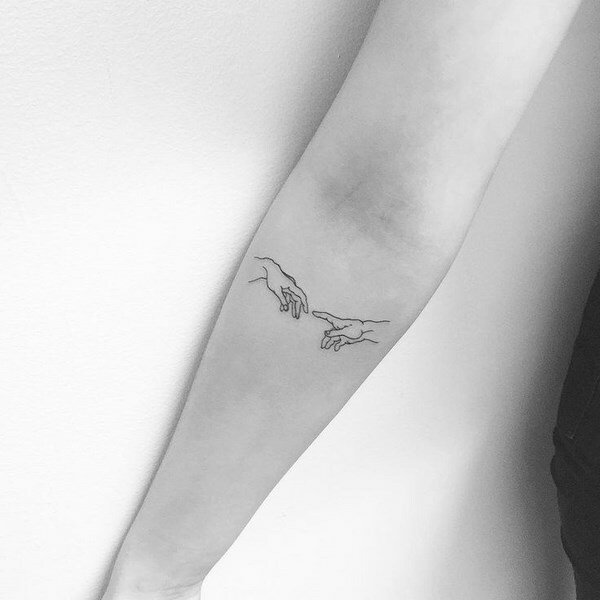 A tattoo of any size is a serious step, and if you decide to do it, you need to think about your future life together with this drawing, which will remain on your body forever. 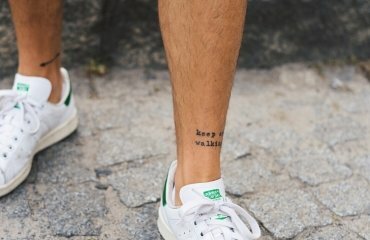 It is a fact that tattoos are one of the most popular fashion trends of today and everyone is looking for a unique motif that reflects his personality. 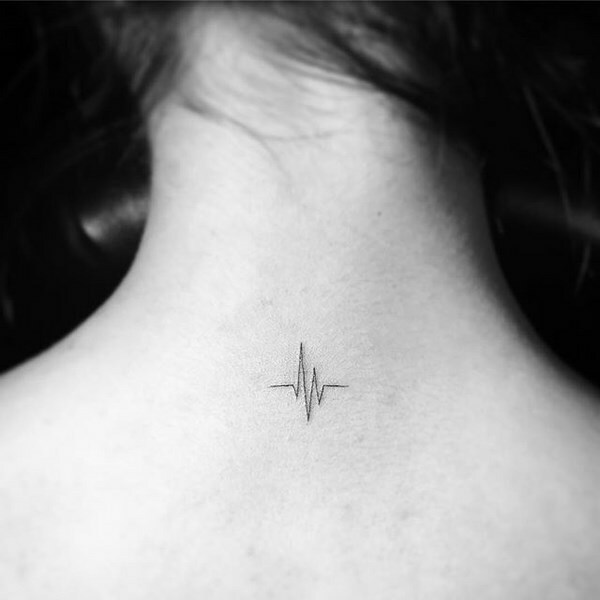 Small tattoos are the perfect solution for people who would like to try or have their first tattoo. 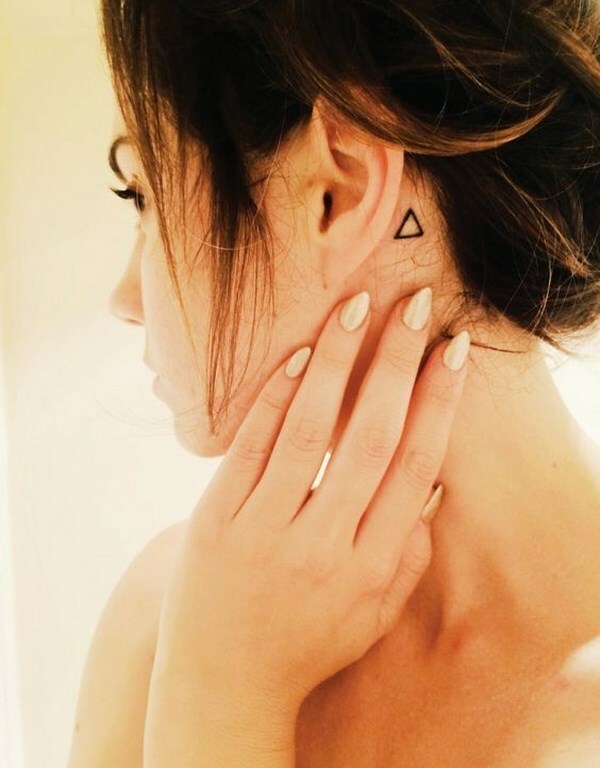 Many people prefer small tattoos as they are easy to hide and look aesthetically pleasing. 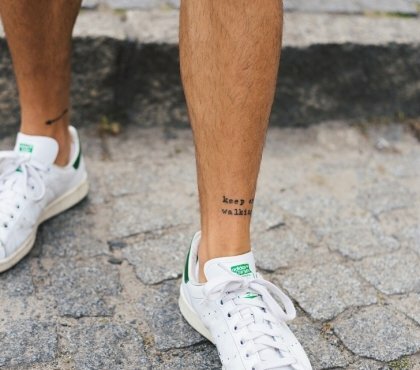 Small tattoos are especially popular with women but there are also motifs for men. Whether big or small, you need to choose the design of your tattoo carefully as it is permanent and a removal can be both painful and costly. The choice of tattoos is a personal matter but before selecting a design for yourself, you should determine your preferences. 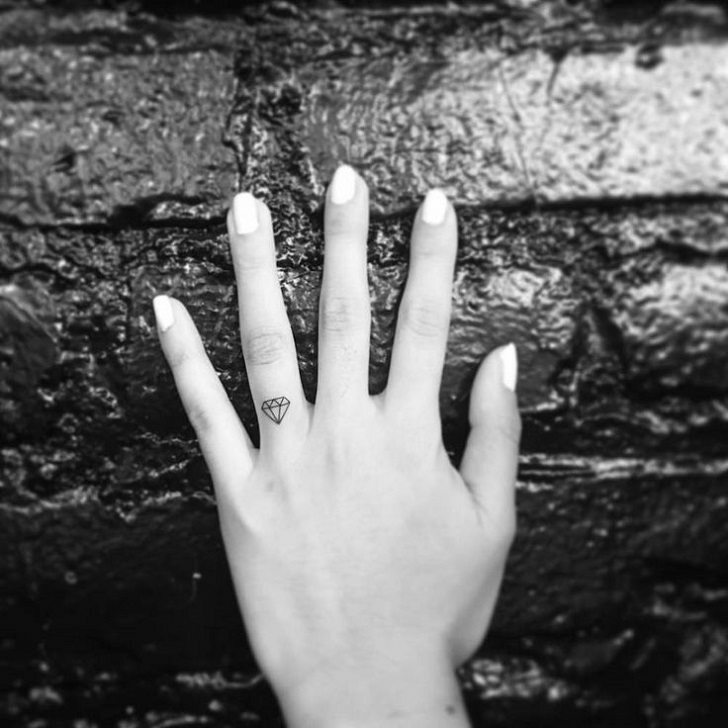 Many young girls think that the most important thing is that beautiful tattoos should be unique as they accept them as an expression of their individuality. 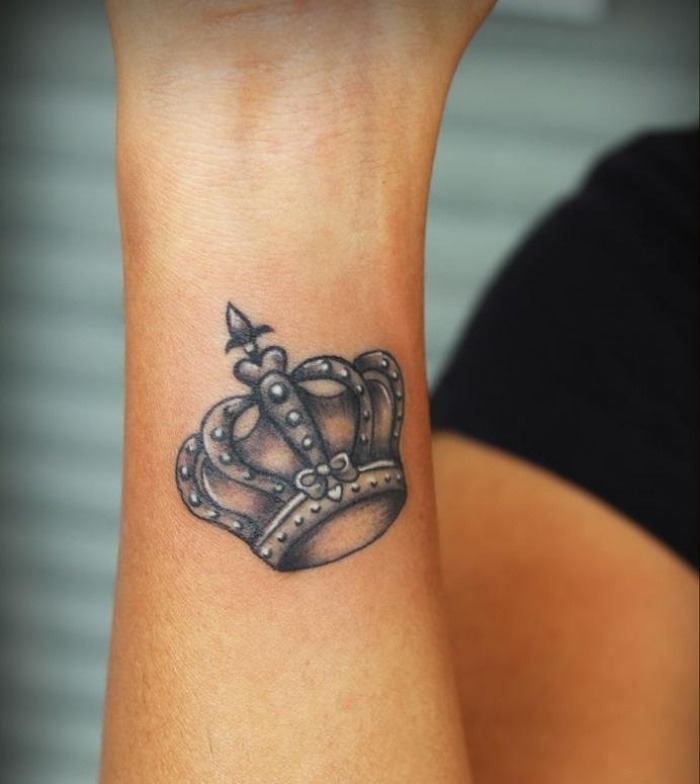 When choosing a motif, you should not forget about the main rule of tattoos – they should have a specific meaning. 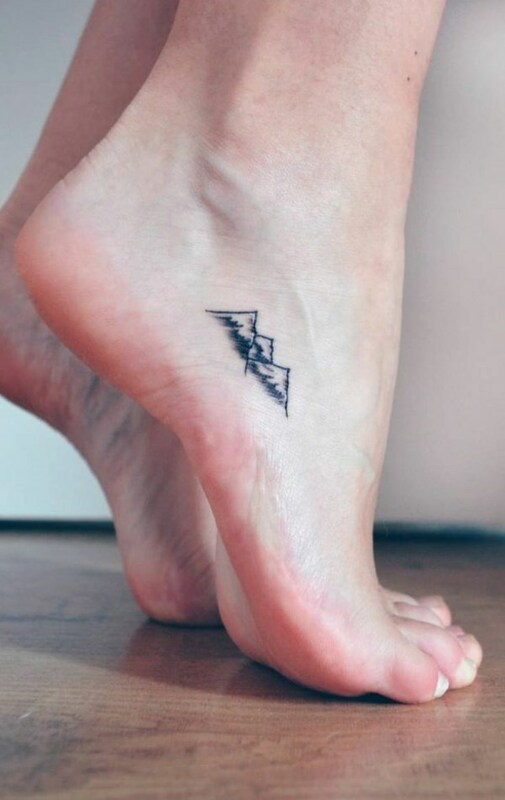 Small tattoos come in different styles and you can choose as per your personal taste. Ethnic style is one of the most popular choices. It is characterized by simplicity of the drawing and deep symbolism. The tattoo can depict various ornaments or ancient symbolic signs with a certain meaning. Such motifs should be selected very carefully as many people believe that a wrong choice of a magical symbol can radically change and affect a person’s destiny. 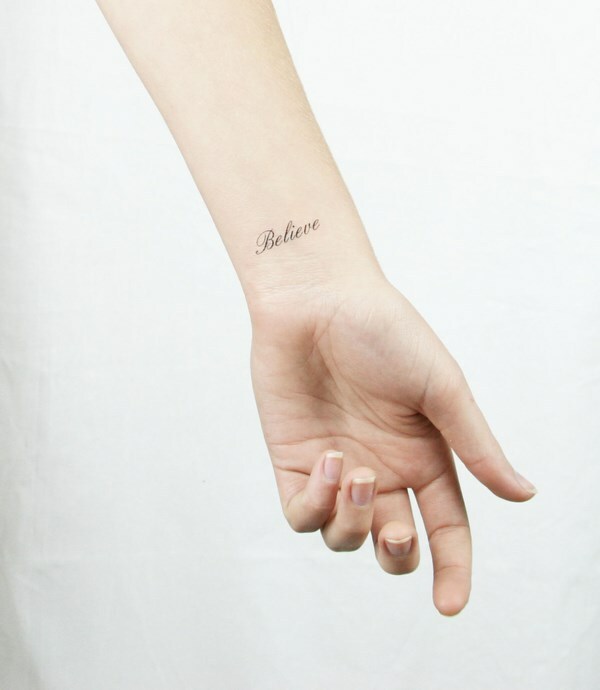 Whether you believe this or you are a skeptic, such tattoos should be chosen with caution. Girls often prefer phrases or symbols – beautiful Japanese or Chinese hieroglyphs, words or phrases in Arabic which have a deep meaning. Realistic tattoos – those are complex designs performed in miniature sizes with great attention to details. 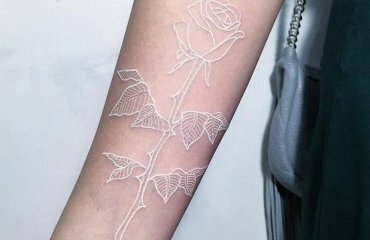 This technique is seldom used for small tattoos as it requires a lot of experience and skill but when done by a master artist the effect can be truly amazing. Old school is a recognizable and fashionable style with clear contours and filling with bright colors. Due to the fact that this style of tattoo was born among sailors the marine symbols are typical – anchors, swallow, ribbons with inscriptions, skulls, etc. New style keeps the clear contours and the bright colors but the motifs feature cartoon characters, characters of computer games, surreal drawings. Halftones are often used to convey the meaning of the picture more accurately and give a certain volume to the image. 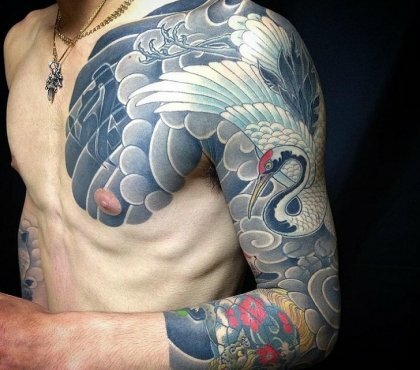 The special technique for drawing such tattoos is not easily mastered by everyone, so if that is your choice, you need to find a very experienced tattoo artist. The numerous photos of small tattoos for women provide a huge number of options for decorating your own body. The choice of a particular motif depends, in general, only on personal preferences. You can choose from simple black to rich and bright colors or add halftones to make a three-dimensional image. After you have decided to go for a tattoo which does not attract too much attention you need to the exact design. Think of what message and meaning do you want to send – is it a memento of life lessons that you learned, is it a self-expression or a beautiful accessory that you will have for the rest of your life. 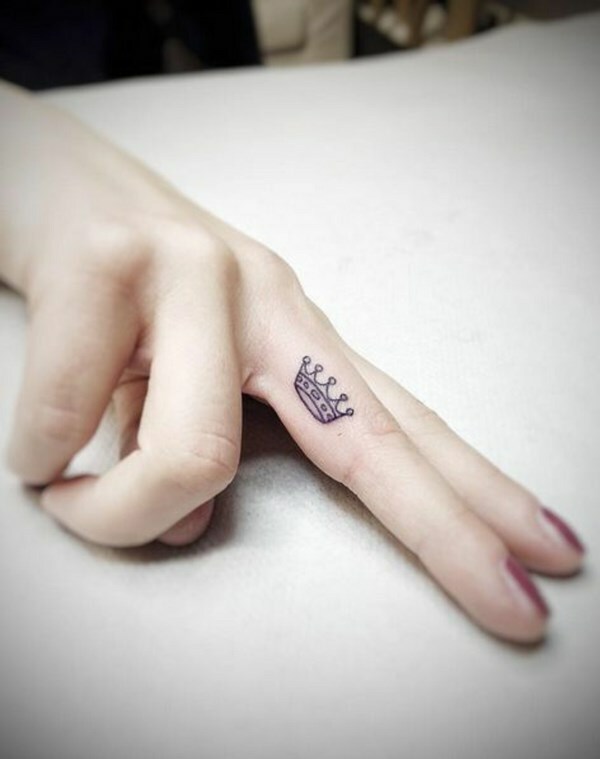 What are the most popular small tattoos for women? We selected some examples that you can use for inspiration. 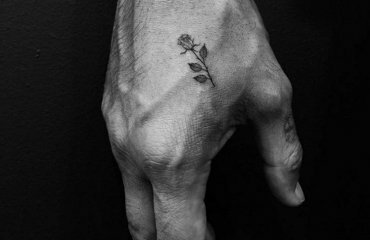 Tattoos with small flowers have always been very popular among girls and women because they are very beautiful and gentle. The choice of flower is important as each flower has a different meaning – the rose is a symbol of love, an orchid represents exotic beauty and elegance, a daisy – youth and love of nature, the lotus can be a symbol of wisdom and purity. Butterflies symbolize transformation, rebirth, freedom and are especially appealing to women as they look elegant on a woman’s body. 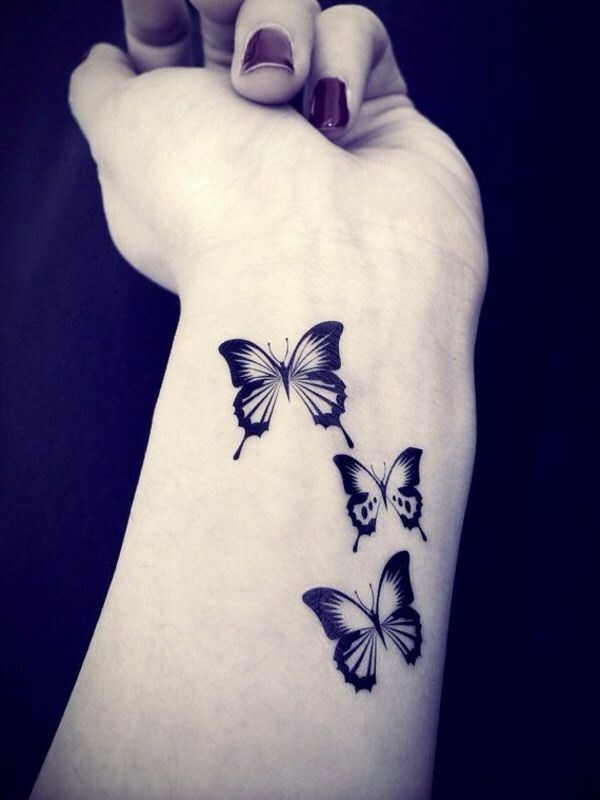 Tattoos with beautiful, colorful and unique butterflies can be placed on the wrist, on the shoulder or even on a finger. 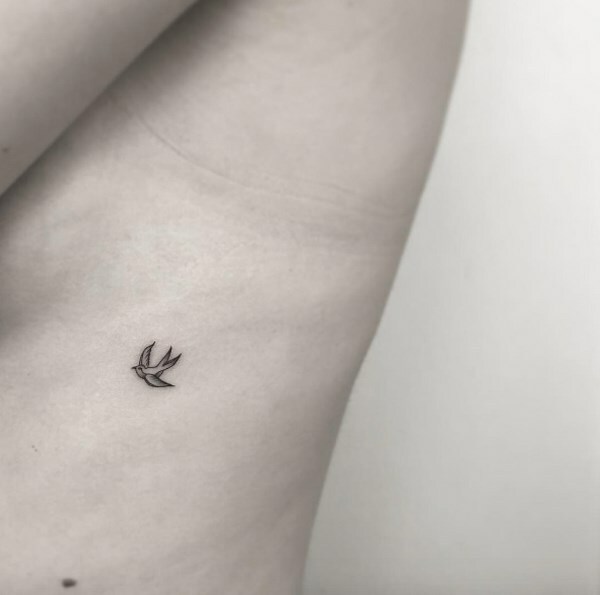 Birds symbolize freedom, inspiration, everlasting love and dedication to a certain person. Loyalty, affection towards family and friends and sacrifice are some other emotions that are associated with a sparrow tattoo. Typically, bird tattoos mean that the person wearing them values their freedom over everything else. 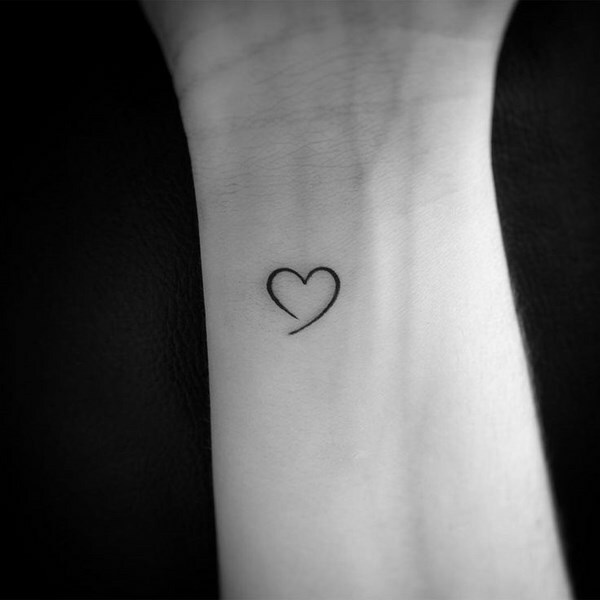 Hearts are another favorite small tattoo for girls and women. Despite that the most popular meaning is love and passion, depending on the design it could mean something different to everyone – from a broken heart which is a symbol of a lost love to heart in flames which represents strong love and passion. A winged heart is the choice of those who love freedom and free spirit but you could choose a tribal or Celtic design if you wanted to enhance the meaning of strength. 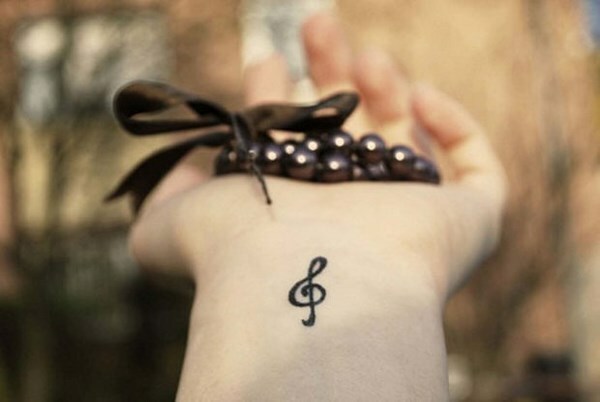 Small music signs and music notes or musical instruments tattoos are the choice of all those who love music. Girls and women who want to express themselves through music appreciate the special meaning as most often music tattoos represent inspiration. 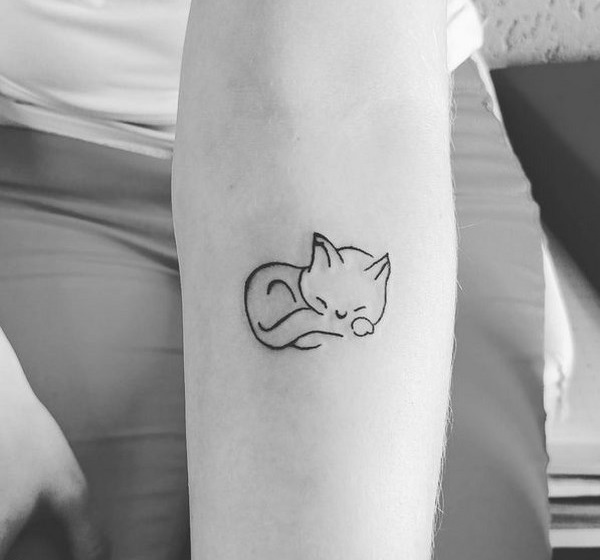 Cats are one of the increasingly popular choices for small tattoos as they are really adorable, cute and funny and express playfulness and innocence. 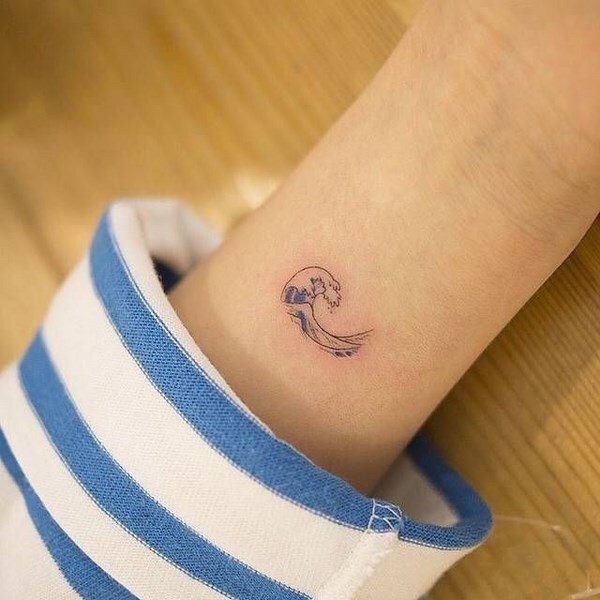 The designs vary from little paws to tiny cat silhouettes and can be placed on almost any part of the body – above the collarbone, on the back of the neck, behind the ear or on the wrist or a finger. A cat is also a symbol of mysteriousness and freedom. Bows and ribbons look fantastic and are quite trendy. 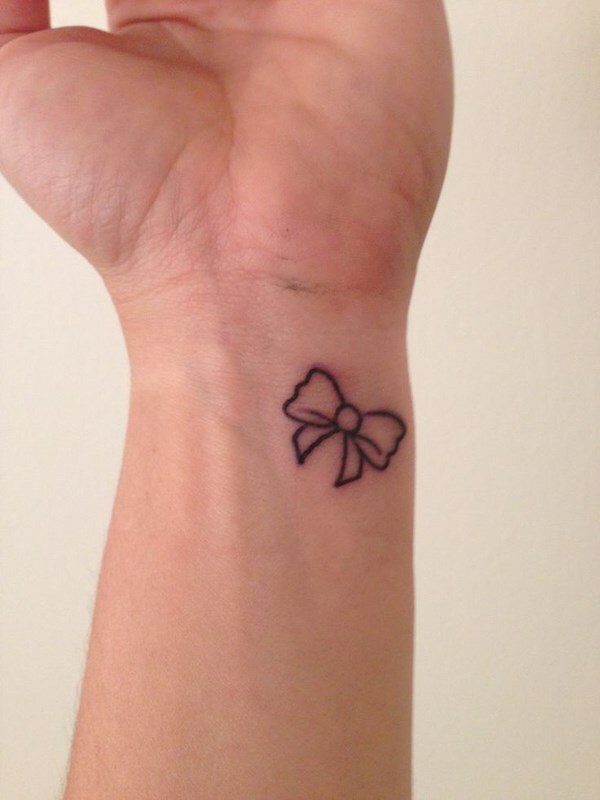 Depending on the particular design, a small bow or ribbon tattoo can look chic, stylish, cool and make a statement. It can be simple or colorful but either way such designs are very gentle and feminine. Ribbons can be a memento of something that happened or someone close to your heart. 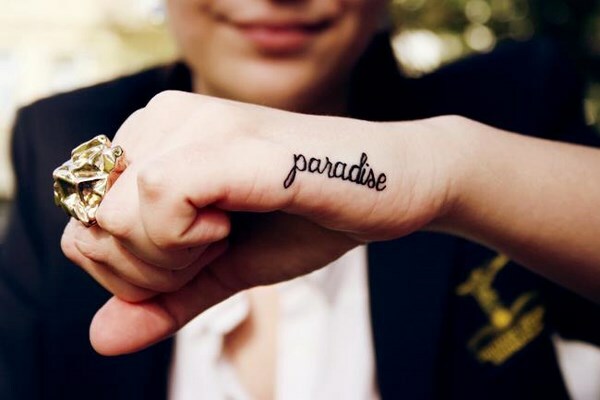 Words are among the most popular small tattoo ideas for girls and women. It could be the name of a beloved person and having it tattooed is a way to express the person’s devotion and dedication to the person they love. Some girls and women prefer a word or a small phrase which has a deep personal meaning others choose quotes from songs, favorite books and movies, or just wise thoughts which can be an inspiring symbol or describe the person’s character and individuality. 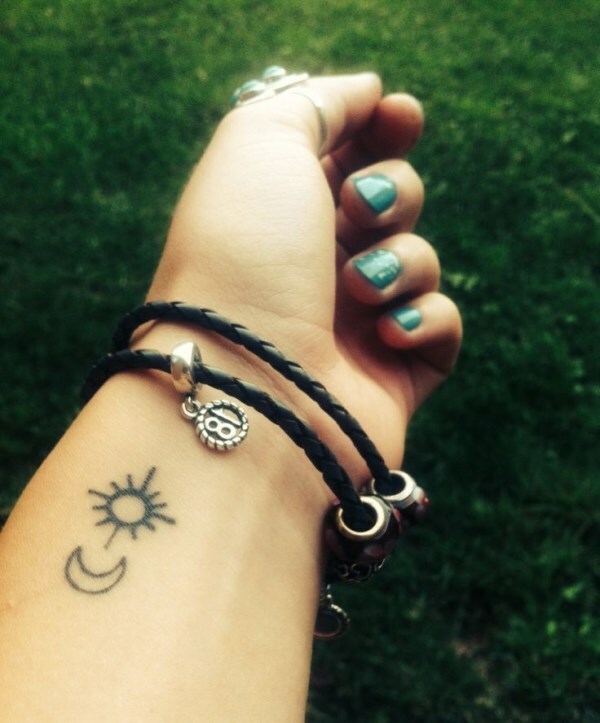 Celestial tattoos include suns, moons, planets and stars motifs and look very cute on the wrist or the ankle, for example. A moon tattoo, for example, could mean a lot of things. The moon phases could reflect the different stages of life. Astrological constellations of stars (zodiac signs) have particular meanings and those who are interested in astrology choose those as a respect of the mystic symbolism behind every sign. For example, Aquarius is connected with independence, creativity, honesty and loyalty while Gemini symbolizes the dual nature, independence and intellectual potential. 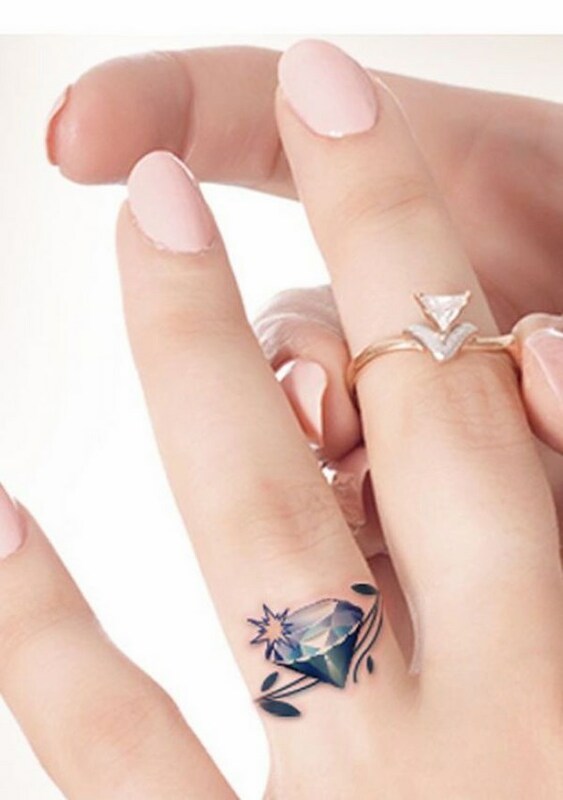 Small diamond tattoos can have deep symbolism but are also worn as an ornament only. They mean eternity, beauty, and femininity, wealth and power, everlasting love, etc. 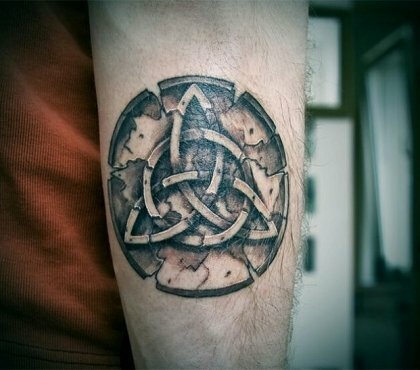 Whether a stand-alone or combined with other symbols, these are one of the most striking tattoos. 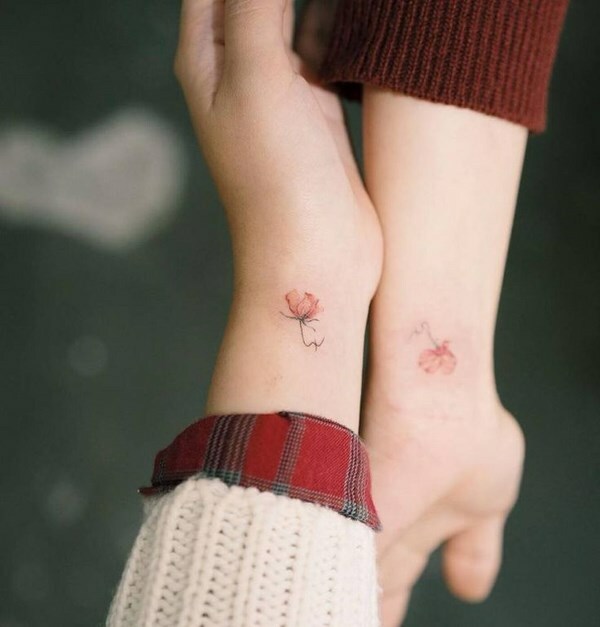 Small matching tattoos are typically the choice of those who would like to have a symbol of a strong and indestructible bond and are a suitable choice for relatives – mother and daughter, for example, husband and wife, and you can choose from many symbols to express that deep connection. Small Chinese characters are symbols of a particular word or even an object. 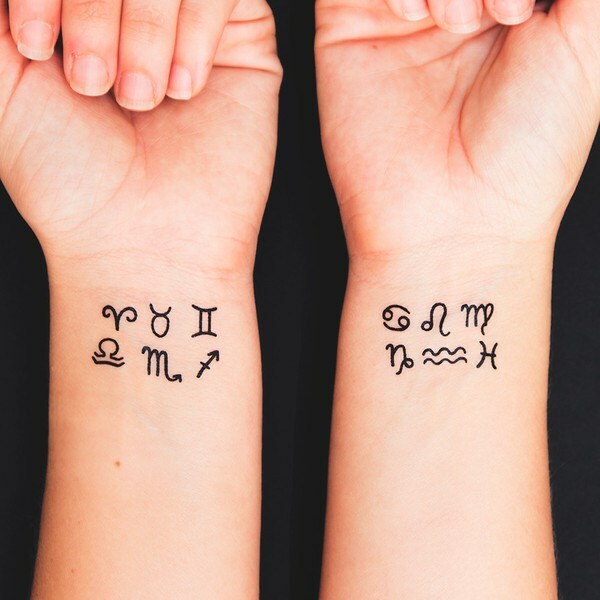 They are amazingly beautiful, exotic and mysterious and a perfect choice for a small tattoo. Many people choose them as a description of their personality – boldness, strength, faith, love, etc. 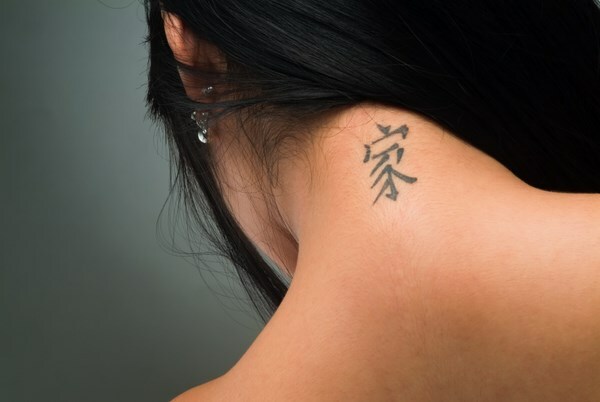 You need to know exactly what you want and do a good research of the Chinese symbols as you have heard many stories of people who wanted a symbol for “power” or “wisdom” and ended with a “soy sauce” tattoo. Another word of warning – Japanese and Chinese symbols are not the same! Make sure you have chosen the symbol that you really want and consult a specialist, if needed.